This month Shri invites you to their newly refurbished dining room and the launch of a new a la carte menu, with a 270 degree view of the city. Chef Javier Gomez has created a contemporary menu that combines his culinary skills from Europe and his passion for Vietnamese flavours. 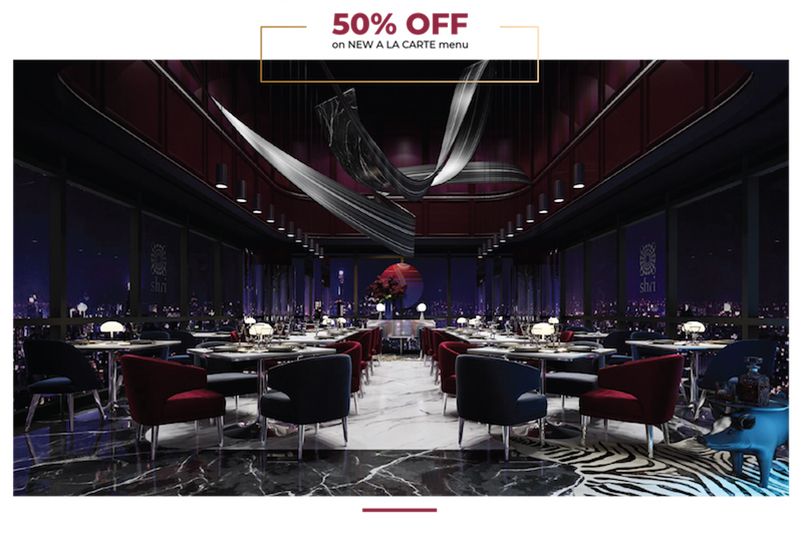 From 12th November to 20th November, Shri offers 50% off on all the dishes from the new a la carte. This exclusive promotion is available for their subscribers only and limited to 4 guest per booking. When making a reservation, please include code word in special message: newshri. The offer is limited due to booking availability. So book now! 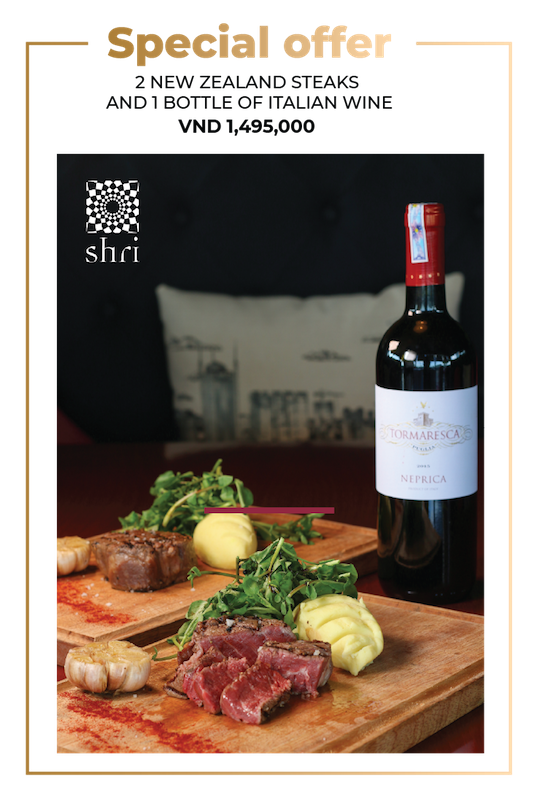 In November, for ONLY VND1,495,000 you get two New Zealand Tenderloin steaks, wasabi mash and watercress salad PLUS a bottle of Tormaresca Neprica IGT red wine from Italy. Tormaresca is a world class wine maker and this wine is a fantastic blend of local grapes: Negroamaro, Primitivo and the more famous Cabernet Sauvignon. 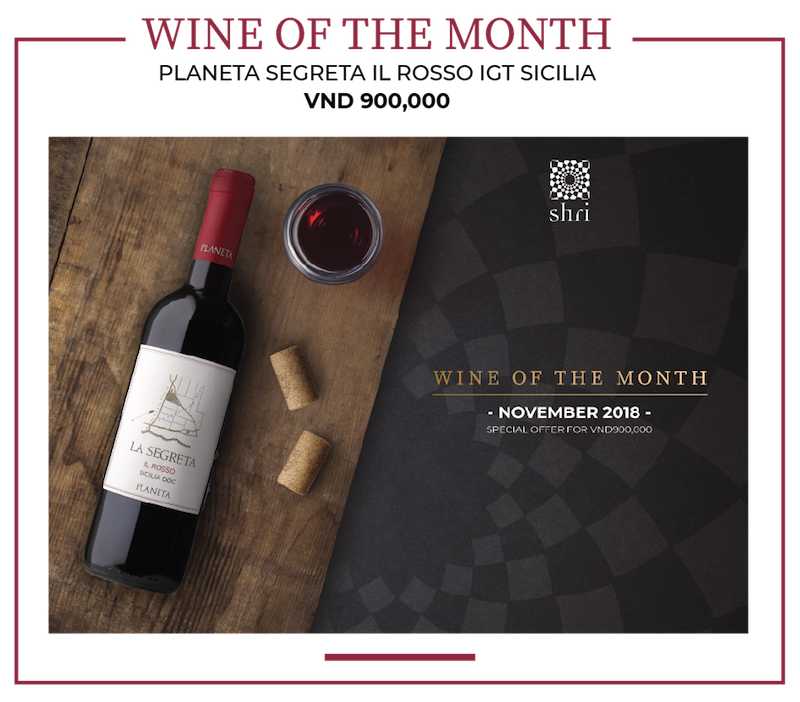 As a continuity in Shri’s Wine of the month series, in November there is a fantastic wine from the innovative winemaker Planeta. This wine is a great blend of Nero d’Avola, Merlot and Cabernet Franc. This stunning wine is part of Shri’s plan to introduce new wines at great prices. Santa Claus is coming to town! Come to Shri to celebrate! From 1 December 2018, a special Christmas menu is prepared for you, your family and friends. 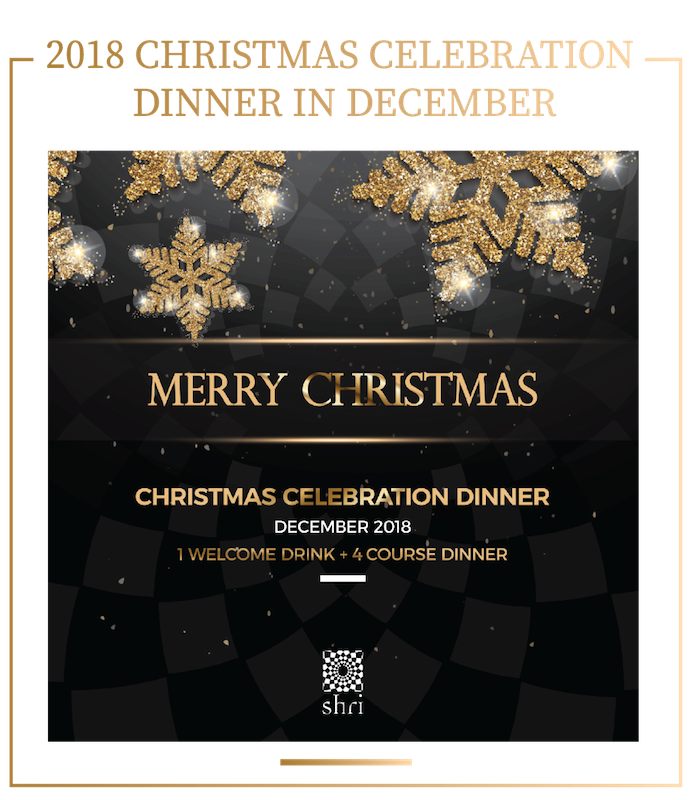 Click on the link below to view Shri’s Christmas menu and reserve a table now. 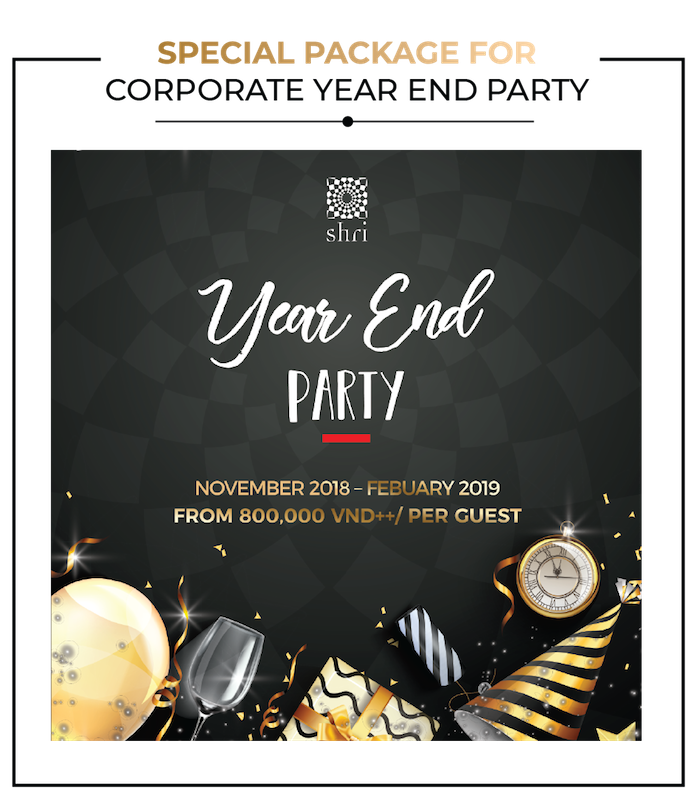 Another year is fast drawing to a close and it’s time to celebrate your business’s success at Shri. The year-end package starts from 800,000 VND++/ per guest and available for booking from November to February. Shri will bring you a memorable event with several benefits upon booking: free flower decoration, welcome drink on arrival, 50% off for tapas, free tea, coffee after dinner, etc. The most joyful time of the year is coming. 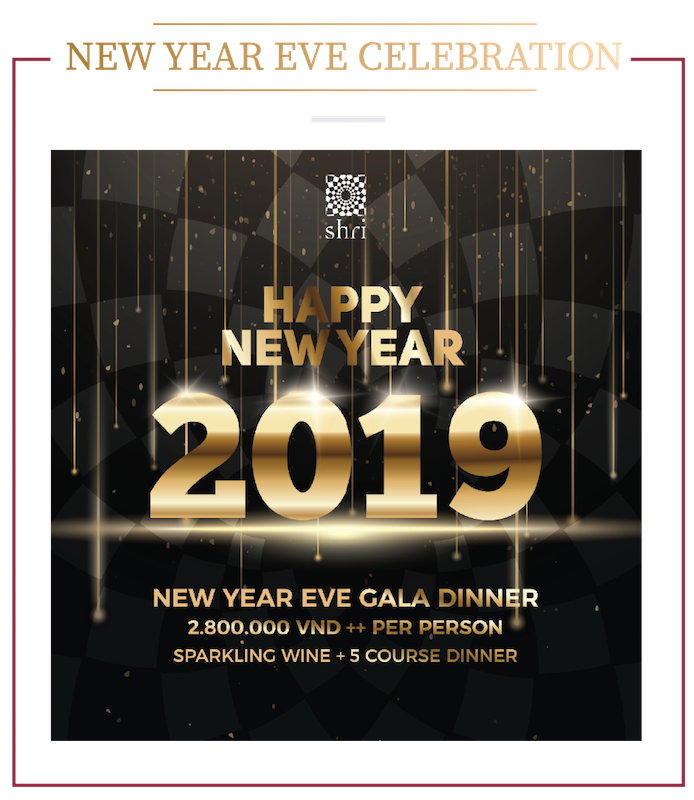 Join Shri on 31 December 2018 to celebrating this festive party in the best roof top restaurant in Saigon. You will be surrounded by stunning view plus impressive live performance by International DJ. There are 2 types of promotions; for individual and groups. Click to see the full dinning menu on the link below and reserve your place before it’s too late!